Hard maple with a nice, light sprinkling of birdseye figuring. Four dove-tailed drawers, with poplar used as a secondary wood behind maple drawerfronts. 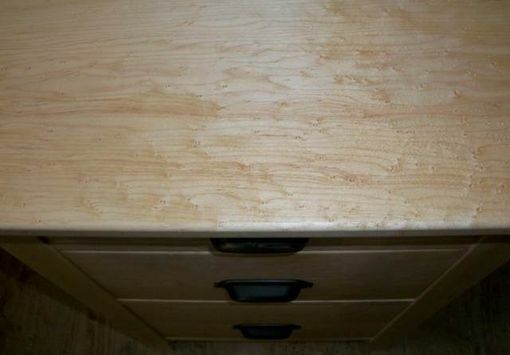 The bottom drawer is set up with integral grooves to accomodate hanging file folders for organizing paperwork. Tough mortise and tenon construction with traditional hardwood drawer slides.